Language Integrated Query (LINQ) is a Microsoft . LinqToWiki is a library for accessing sites running MediaWiki (including Wikipedia) through the MediaWiki API from .Net languages like C# and VB.NET. 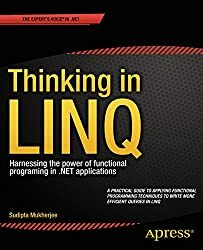 What’s the problem with LINQ? As outlined by Joe Duffy, LINQ introduces inefficiencies in the form of hidden allocations, from The ‘premature optimization is evil’ myth. Complex queries can be solved with a combination of simpler LINQ queries, anonymous objects and the Group/By/Into clauses. Using Group/By/Into will also give you the best possible performance for those complex queries.